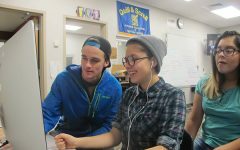 EVTV’s Fall 2016 crew was one of three media programs in Colorado honored for FEARless reporting by the Colorado Student Media Association. EVTV was the only broadcast journalism program to be recognized in this competition. Eagle Valley was the only broadcast journalism program of the top three entries. Palmer Ridge High School and Rangeview High School’s entries also placed in the top three. EVTV’s Staff for Fall of 2016. 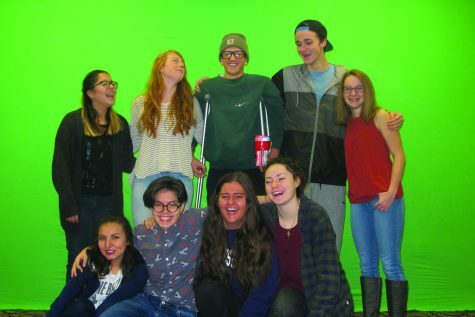 Nate Felton ’17, Tanner Caldarola, ’17, Rose Sandell ’17, Natalie Marner ’18, Xochilt Villasenor ’18, Cece Solis ’18, Alondra Escobar ’19, Samantha Werner ’19, and Kaikea Cavaliero ’19 submitted portfolio of reporting from the fall season that included the Winter Special Report, the Diversity episode anchored in Spanish, and their coverage of the destroyed campaign sign and subsequent First Amendment free speech and ethics questions. Mary Beth Tinker was one of the judges in the competition. Tinker is a famous free speech activist recognized for wearing a black armband to protest the Vietnam War and subsequently taking her school district to the Supreme Court case that established, “students do not shed their first amendment rights when they enter the schoolhouse gates” in Tinker vs De Moines. Other judges included Jeff Browne, from CMCI at CU Boulder, and Jack Kennedy, from Colorado Student Media Association. 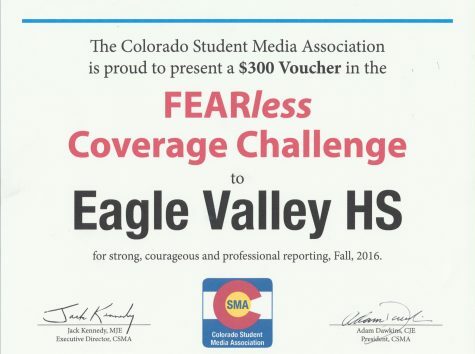 Eagle Valley Student Media will receive a $300 voucher to use towards participating in any CSMA-sponsored event in 2017, and they look forward to applying it to attend J-Day in Fort Collins this coming fall.